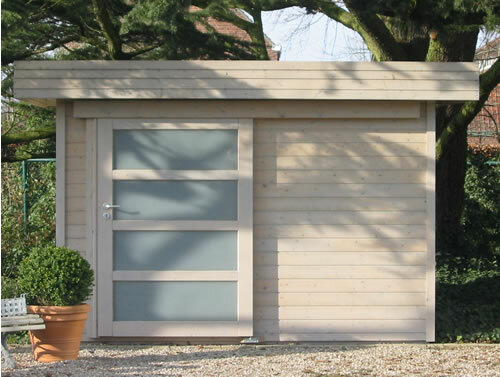 This modern flat roof garden building is perfect for use as a shed or summerhouse. Features a single sliding opening door with frosted glass to the front. Manufactured from untreated 19mm (0.7") tongue and groove white pine but with a magnum pressure treated option available. The roof is manufactured from grey steel roof plates. 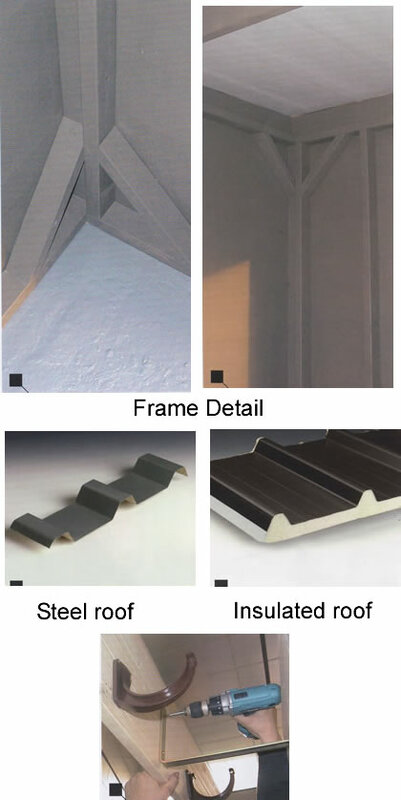 There are many other roofing options available such as; a brown anti condensation roof, brown 30mm (1.2") insulated steel sheets and 19mm (0.7") roof boards. This building does not come with a floor, however there is a premounted floor available as an option. Dimensions: There are many sizes of this building available please contact us for prices of larger buildings. This building is of a contemporary design and can be very striking in the right setting with the right colours applied. Tack Timber Construction is a renowned manufacturer of buildings in Europe and only use fine graded northern European pine from sustainable sources. 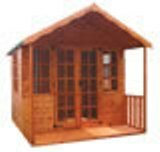 All the Tack range of sheds and summerhouses come with a 10 year guarantee on the construction. Geese Motif Basket for your home grown flowers. 12" (30cm).